Don’t ever be afraid to travel off the beaten path, because you may just end up somewhere amazing. Nestled along the bluffs of the Mississippi river valley near Fountain City sits Kinstone, a tranquil area with beautiful stones arranged in unique formations and natural flora and fauna that seems like a scene taken from a fairy tale. At Kinstone, visitors are encouraged to walk along the paths and immerse themselves in peaceful thought and meditation. Once farmland, Kinstone is dedicated to celebrating the land’s natural ecosystem by encouraging the growth of native plant life and celebrating an ecosystem with minimal human interaction. Kinstone is open May through October and provides a unique pilgrimage experience, offers retreats and tours, and is a great location for wedding venues. Vision Design Group has worked with Kinstone for several years and it was time for an update to their website. Our team got to work creating a redesign for the website which included updating the website to a mobile friendly platform and incorporating a new calendar for easy to find events. The new website is also utilizing Eventbrite, which allows visitors to seamlessly order admission tickets online. To encompass the theme of natural beauty, we used gorgeous images taken of the flora and fauna at Kinstone throughout the website. 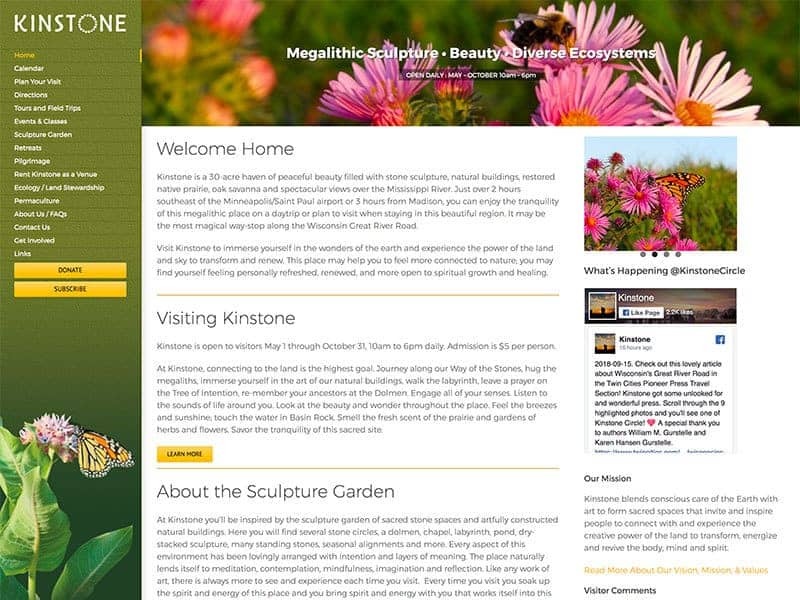 Click here to see everything the new Kinstone website has to offer! 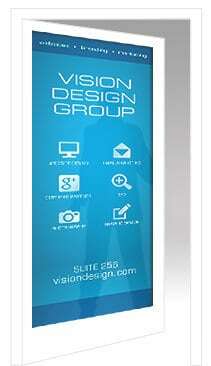 We can help you keep your website up to date with your company. Contact us today!